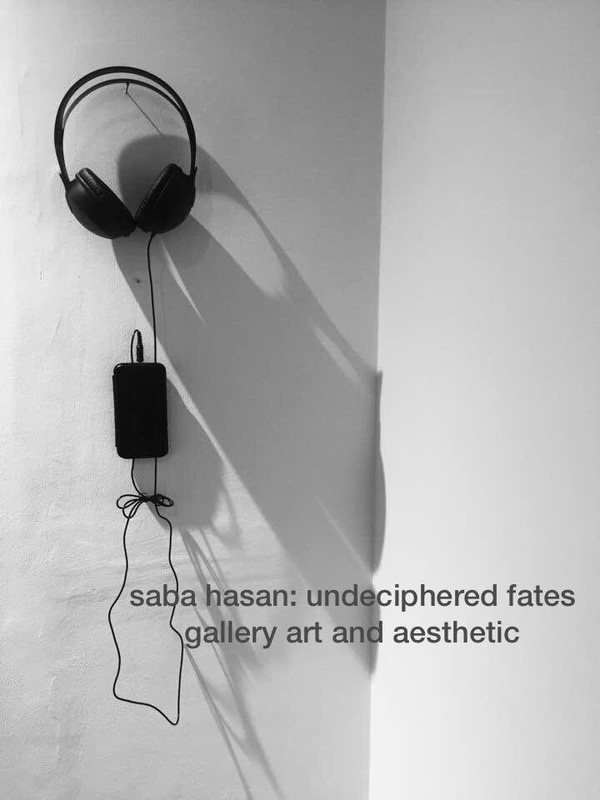 Saba Hasan’s first voice work was installed in a heritage castle in Salzburg 2010 with her poem “journey of a broken song” on racial profiling, rivers and power relations. Since then she has taken her voice to a protest against Gaza attacks in Columbia University 2012, recordings of Deer Park, Lisbon and Surat 2014, the Gandhi – King Plaza, IIC with her installation “rehearsal for a poem” and as part of John Adams sound walk at the new Met Brauer, New York 2016. 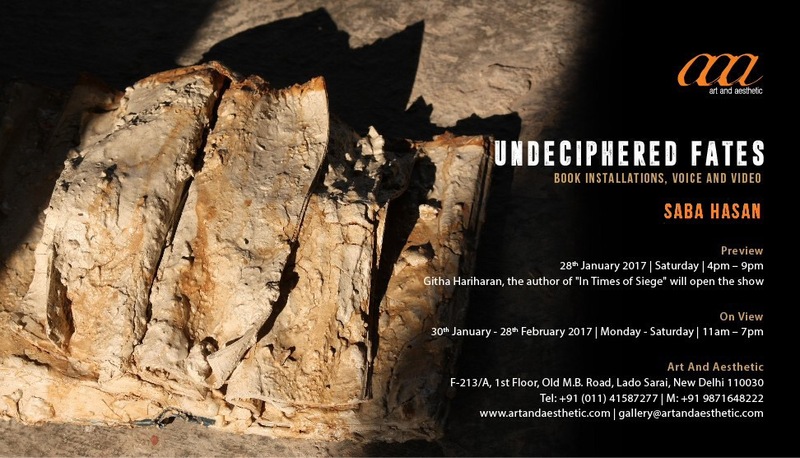 Saba’s latest poem/voice work is also the title of our ongoing show of her book works, voice n video ” Undeciphered Fates ” inaugurated recently by writer Githa Hariharan.